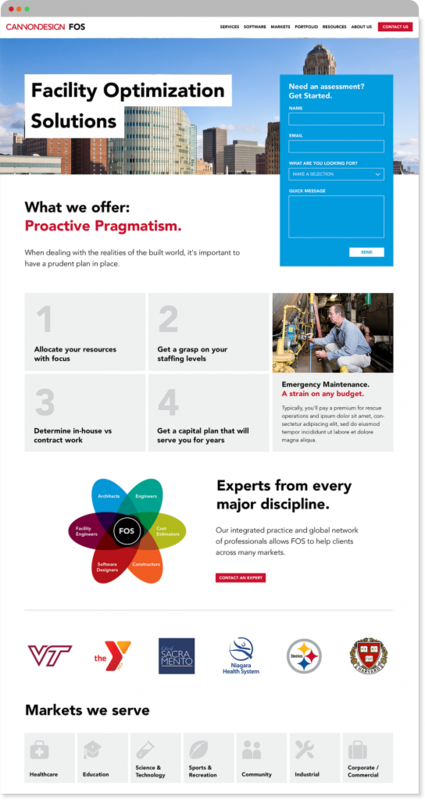 Our longtime partner Cannon Design needed help educating their audience about their new service, which was a unique challenge as it had a sales cycle outside of their typical procedure. 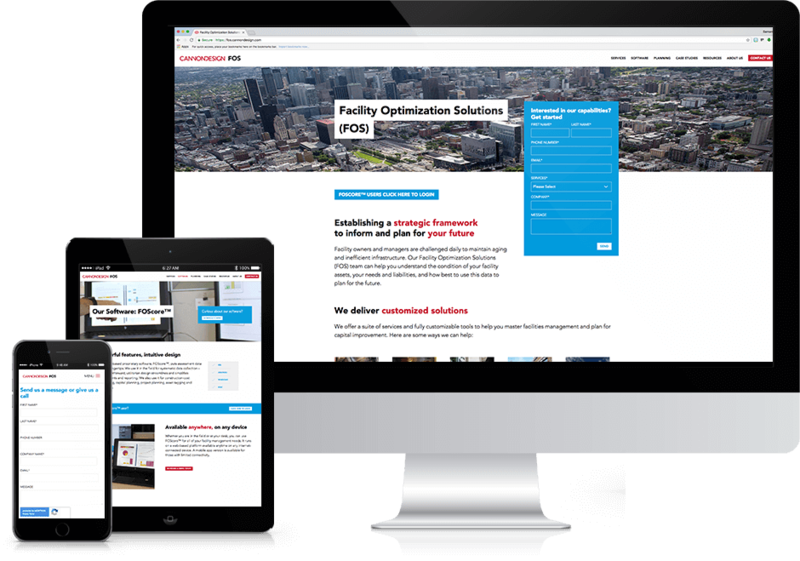 Facility Optimization Solutions (or FOS) required an online lead generating site to quickly inform and educate the customer then get them in touch with a technical representative easily. Utilizing our extensive knowledge of and experience with the Cannon Design brand, Cypress North created a unique visual design that complied with brand standards. With a primary focus on conversions, we integrated HubSpot into contact forms, whitepaper downloads, and more to set up an inbound marketing campaign workflow.